When you enter your car and then turn the key, you will expect your car to turn on but there are instances when it does not happen. There are times when your car does not start at the most inopportune time and hence you will need to look for the underlying issues that are causing these problems. Since the engine of the machine is a complex piece of machinery, it might face some ignition problems and hence the car will not start. You will need to look for a mechanic who will fix these problems when your car won’t start. The mechanic will look for the underlying problems that are causing these ignition issues so that it can be fixed immediately. With help from mobile local locksmith company in Arvada, CO, we’re able to bring to you this information about ignition problems. Ignition coil- every car has ignition coil that might grow old and brittle due to constant wear and tear. 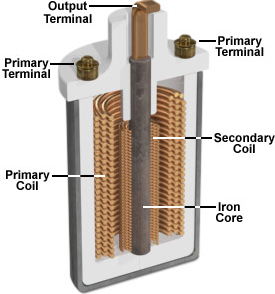 With time the coil may also corrode and when it is corroded or becomes brittle, it can often break or split. This is the most common car ignition problem in which the ignition coil will prevent the engine of the car from turning on. This coil is found by the distributor cap and you will need to take a closer look at the cap for finding any traces of mist or water under the cap. For solving this issue, you will need to replace the ignition coil as well as the distributor cap for solving this issue. Electrical problems- as soon as you experience car ignition problems then the first thing that you should check are the battery of your car. The reason for this is because if your battery is dead then there are no chances for your engine to turn on. To find out whether your battery is empty or filled you can take the batter of your car to your local auto parts store. But if there are no problems with the battery then you will need to check the fuse box that is inside the engine for finding any blown fuses inside the fuse box. Another very common electrical problem that might lead to car ignition problems is the faulty starter connection or switch connection. There are a large number of electrical components that can lead to car ignition problems and a problem with just one of the component does not let the engine of the car turn on. Fuel system- it is very important that fuel runs through the engine of your car so that your engine can start quickly and work efficiently. After you have ruled out the ignition coil and electrical problems, you will need to take a look at the fuel system of your car. Fuel injection system is the first thing that you will have to check as it features electrical connections that might become loose and you will have to get it tightened. The fuel pump is also a major component that can cause the car ignition problems and if the pump loses pressure then the flow of the fuel to the starter in the engine will reduce or it may stop completely. Therefore it is very important that you look at the relay line for making sure that it is not clogged. Engine- another reason why the engine of your does not turn on when the engine is over heated which may be because of controlled explosion that takes place inside the engine that emits a large amount of heat. The high temperature inside the engine is controlled by the engine and it is very important that you check the coolant level as well as the system time for avoiding these heating problems. 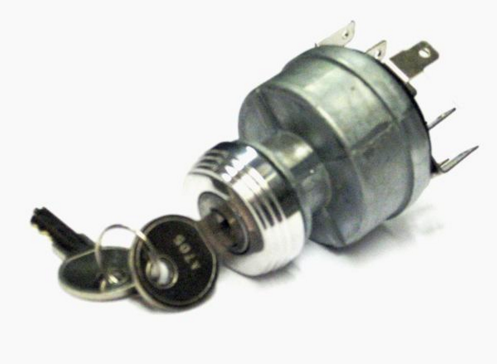 Ignition switch- another very common car ignition problem occurs when the ignition switch heats up while you start the engine. This might be because of broken ignition switch wire or loose connection and for this you will need to change the ignition switch for solving your problem. Battery- the battery of your car has to be charged fully so that it can start as soon as you turn on the engine. If the battery is charged then the problem might be because of the defective ignition wire that might obstruct the battery from supplying sufficient current to the engine. This entry was posted in News and tagged ignition, ignition coil, ignition repair, ignition switch, ignition switch problems. Bookmark the permalink.